Halitosis: Halitosis is the medical term for bad breath. Everyday bad breath is nothing to worry about and can be washed away with a little mouthwash – we’ve all experienced morning breath or the smelly aftertaste of garlic and onions. But persistent bad breath can also be caused by cavities, mouth and tongue bacteria, dry mouth, gum disease, oral cancer, or cavities. If you have chronic halitosis that mouthwash does not mask, make an appointment with your dentist for an evaluation. Oral cancer: Oral cancer is relatively treatable in its primary stages; regular cancer screenings by your dentist are key for early detection. Two of the biggest risk factors for oral cancer are tobacco and/or alcohol use. The first signs are typically sores, lumps, bumps, or rough patches in the mouth or throat. Click here to read more about oral cancer detection. Mouth sores: Mouth sores come and go and are generally harmless. Common types include canker sores, fever sores, cold sores, and sores caused by a fungal infection in the mouth. If you have a mouth sore that persists for more than two weeks, contact your dentist because it may be a sign of a larger problem, such as oral cancer. 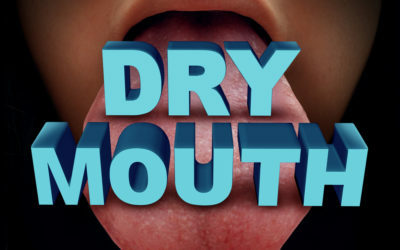 Dry mouth: Dry mouth is characterized by a lack of moisture and saliva in the mouth, and commonly occurs as a side effect of certain medications. Our saliva contains antibacterial properties and provides the mouth with essential moisture. A lack of it can lead to bad breath and tooth decay over time. Tooth decay: Cavities form when the sugars and starches we consume are eaten by mouth bacteria and produce acids that erode tooth enamel. Over time, the erosion creates little holes in the teeth. Signs of a cavity include tooth pain, pain while chewing, and/or sensitivity to hot, cold, or sweet foods. Tooth sensitivity: Has ice cream ever made your teeth ache? Have you ever felt a sharp pain after eating a spoonful of hot soup? Teeth sensitivity is a common problem characterized by a pain or discomfort felt from sweets, and/or hot or cold foods, drinks, and air. In most cases, sensitive teeth can be treated with potassium nitrate, an ingredient that relieves sensitivity. 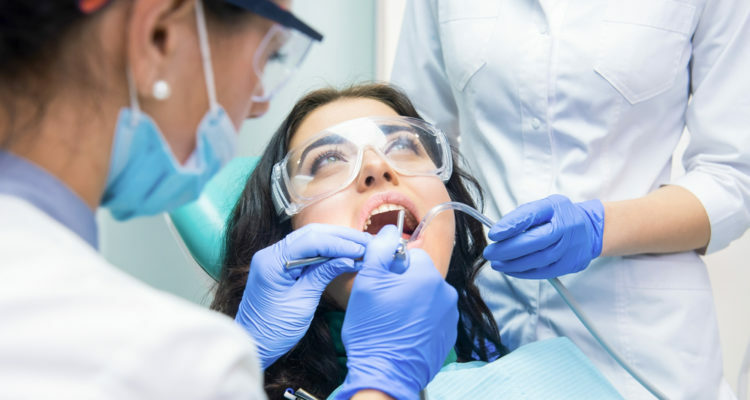 In other cases, a cracked tooth or abscess may be the root cause of sensitive teeth, and should be evaluated by your dentist as soon as possible. Enamel erosion: You may be familiar with this problem already if you’ve ever noticed white or discolored spots on your teeth – these are signs of enamel erosion. The number one cause of enamel erosion is constant sipping and nibbling on sugary snacks and drinks. The number one treatment of enamel erosion is prevention – once too much enamel is eroded it cannot be undone, so swap out your candy and sodas for fresh fruits and water when possible. Tooth infection: Your teeth can become infected too. Cracks, fractures, and cavities in the teeth can lead to damage of underlying nerves and pulp tissues that are left open to bacteria. Oftentimes, a tooth infection stemming from a cracked or fractured tooth will require a root canal. 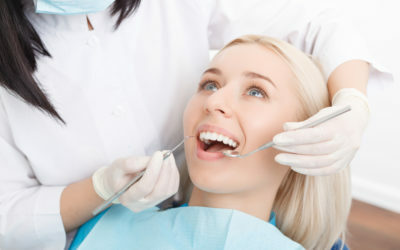 Although root canals are painful and expensive, it is better to treat a tooth infection early, before an abscess develops. Periodontal disease: Periodontal disease is the medical term for gum disease, which is an infection of the gums. It is also one of the leading causes of tooth loss among adults. One of the biggest risk factors for gum disease is smoking. Common symptoms include halitosis, swollen, painful, red, or tender gums, and pain while chewing. The good news is that simple, everyday prevention methods can reduce the risk of most problems listed above. Brush and floss your teeth daily, eat a balanced diet without excess sugars, and get regular check-ups and cleanings at your dentist. 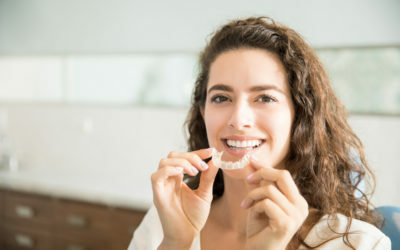 Here at Boyett Family Dentistry, Dr. Boyett and her team of amazing hygienists are always on alert to catch any of these common dental problems in the early stages and get you started on treatment right away. If it’s time for your regular exam and cleaning, call us today at 863-294-9200 to schedule an appointment.